On average, it takes someone a third of a second to decide whether they are going to open an email, three seconds to see if there is something of interest and 30 seconds to respond to the ‘call to action.’ In other words, the difference between losing and keeping a customer comes down to a matter of seconds, so always keep your messages clear, simple and oriented around a single goal. Here are a few more best practice tips you must incorporate into your email marketing campaign. The CTA must always be the main thing you want your customers to do. Whether that is to visit your website, purchase a discounted item, download a voucher, attend an event, or contact you. If you have multiple things you want your customers to do, don’t include multiple CTAs – focus on the most important one or you risk confusing your email recipients and losing their interest. This primary CTA is why your email exists and should applied to the entirety of its design and content. The subject line is the decider for whether recipients open your email, so it’s worth putting some thought into. Your subject line should specify a benefit or a problem that you’re able to solve for your target audience. For example, instead of using “Email Marketing Company Newsletter Issue #1”, use “9 Quick and Easy Tips for Email Marketing”. Another recommended practice is to avoid using capital letters, exclamation marks or words like ‘Free’, ‘$$$’, ‘Save’ and ‘Discount’. The majority of inbox filters register such emails as spam and delete them before they even reach their intended recipients. Catch the attention of your subscriber by addressing them by name in your email campaign. And if you have additional information about your customer, use it. Your communication will instantly become more meaningful to your subscribers when your incorporate their interests, buying history or background in the body of your content. According to some research studies, the best days to send mailouts are Tuesdays and Wednesdays. On Mondays, people are catching up on work-related emails that have accumulated over the weekend and by Thursday and Friday they are wrapping up their work in order to enjoy the weekend. This means that on Tuesdays and Wednesdays they are generally more receptive to email communication and are more likely to respond to your call to action. Try to schedule your mailouts to be sent around the same day and same time so that your loyal customers know when to “expect” your email to arrive. Keep the look and feel of your emails consistent in order to strengthen your branding and build trust and familiarity with your subscribers. Create a template for your emails and newsletters which only need to be tweaked for updated content and calls-to-action. Single or double columns: If your email is focused on one promotion or offer then use a single column email format to help keep your messages simple and focused. If your email is informative then using double columns will enable you to include more information above the fold and allow your subscribers to better navigate to find the information they need. Control the information you include above the fold: Just like a website, the content that is included above the fold is the prime real estate of your page that will get the most attention from your subscribers. Important messages in the left column: Regardless of how many columns you’re using, make sure you include your most important content in the upper left corner of your page which is where people read first. If your email is a newsletter, this upper left section should summarise the entire message’s content. 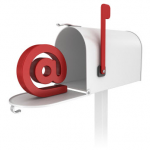 If your email is promotional, display the special offer you want to promote in this area. Test before you send: Some email service providers are unable to translate special formatting and font styles. Before you send out your email make sure you test it across several email channels to ensure that your email format is user friendly both with and without special formatting. Avoid any long-winded registration forms and make it easy for your customers to sign up or opt into your email database. The longer the registration process, the lower your conversion rate. In order to keep your customers happy, also allow convenient ways for customers to unsubscribe. For every person who successfully opts-out of your mail list, that is one less person not hitting the ‘spam’ button to notify their ISP that your emails are not relevant. You also want to keep a high-quality and high-converting customer database so avoid receiving complaints from unhappy customers that are unable to unsubscribe from messages which they no longer want. To find out what works, make slight variations in your email to different customer groups (e.g. gender, age, location specific) to assess the impacts on your conversion rate.